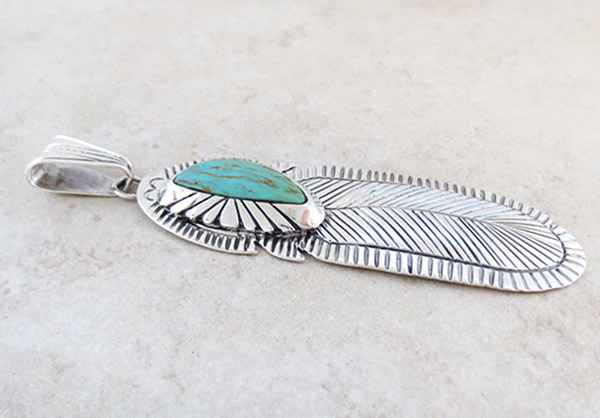 This huge sterling silver feather pendant was created by Navajo artist Darrel Delgarito at Running Bear. 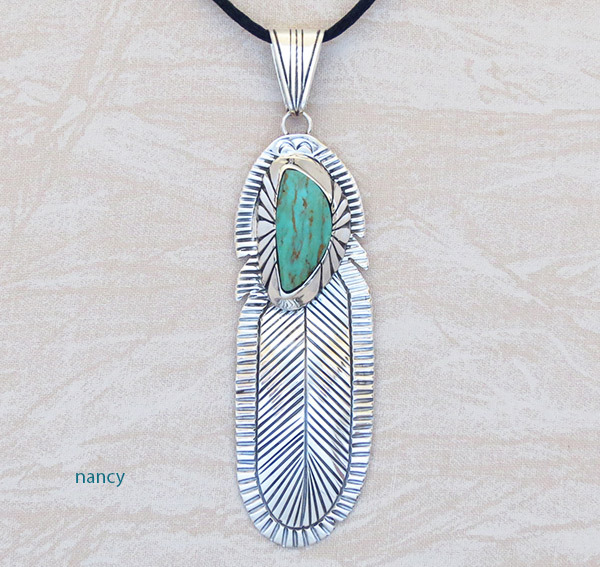 There's a slot of silver detailing on the whole piece. 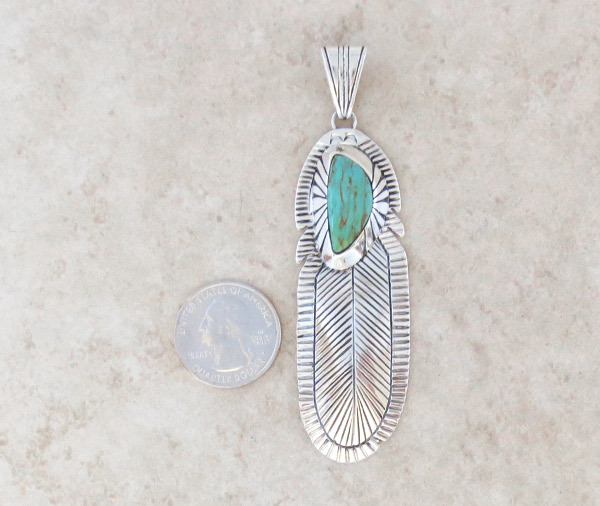 It has a bluish turquoise stone with gold. 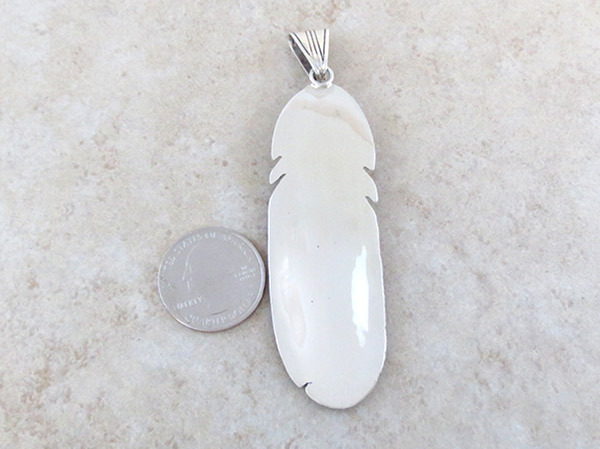 It measures 3 tall, plus the 5/8" bail, by 1" at it's widest point.